Technology has been shifted from 1.0 to 4.0, and this evolution has shown a big change in the industry. Industrialization has also changed from steam power, hydrolyzation/mechanization, water power, wind power and solar power. The second was the installation of mass production, assembly lines and electricity. The third was the era of computer and automation. And now, the 4.0 is the merge of computer and automation, and this is one of the smart era to derive the concept of a smart manufacturing unit. Industry 4.0 has changed 3.0 bot assistant into unbelievable machine. With Cyber system. Now the physical process of a factory can be changed and altered. The physical systems then get evolved with the IOT which can inform and collaborate with each other and provide an interactive experience to humans in real time via the wireless web. VR has a vital role in making 4.0 indiustry to a smarter factory. Virtual reality has opened multiple scale for Application development Company to develop a new and impressive solutions. These days manufacturing units are equiping the smart machines to operate efficiently, data intelligence platforms, very high digital connectivity and interactive simulation tools. These all will help to boost and refine the productions and meet the customer needs as per latest requirements. 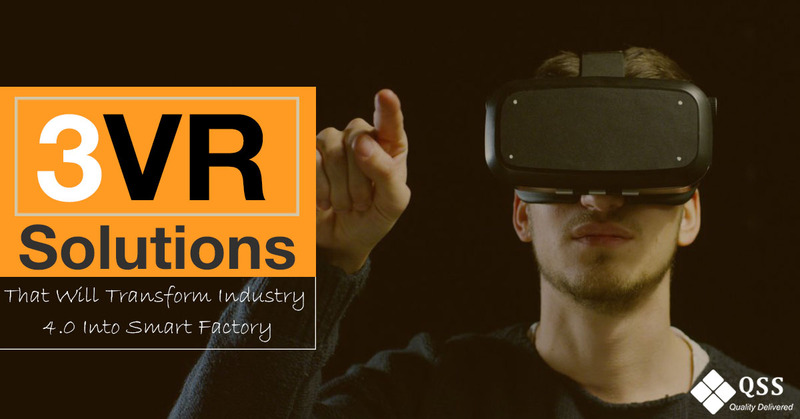 Below are the applications of Virtual Reality in production and manufacturing. – Factory planning: It takes a huge effort to design or building a new manufacturing or production unit, testing a new way to develop plants and trails. In most of the cases, trail failure become a vital factor of delays and can not complete it on time, manufacturing units shutdown in such cases for couple of days and it cost higher against the expected date. If organizations uses VR for such kind of activities than it can save time, money and cost to develop plants and production lines. In VR, the whole workplace can be designed as demo workplace and changes can be made according to workor’s work convenience. – Maintenance & Inspection: Trained experts can enter into virtual manufacturing process implementation environment and can carry out safety inspections or routine maintenance. Manual inspections might miss crucial checkouts but with VR experts can clearly take into consideration every minute detail. VR apps for maintenance or inspection can help inspector to implement their task from any premise or place.